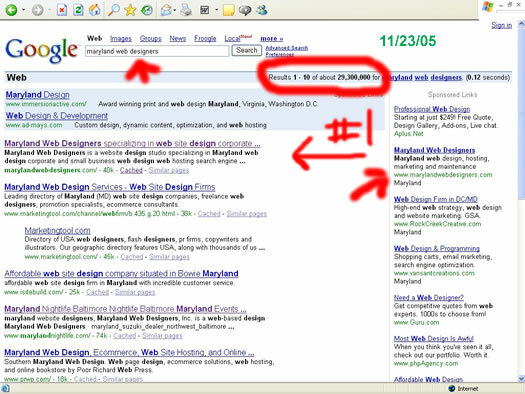 Maryland Web Designer’s understands that Search Engines are the #1 way people find websites. They account for virtually 90% of all the traffic your website receives . 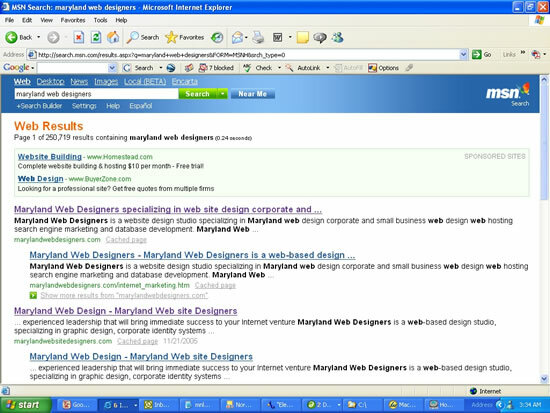 Our competitive and aggressive internet marketing strategy uses all of the popular online search engines including:Google, Yahoo, Infoseek, Altavista, Lycos Hotbot, Excite, Webcrawler, Northern Light, Inktomi, Direct Hit, AOL, as well as, many of the smaller search engines and local websites. 1000 Individual links to any page on your web site. 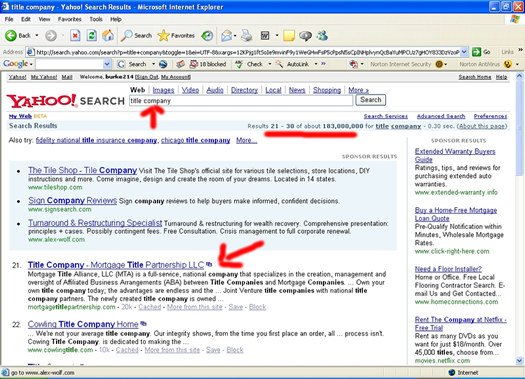 Monthly Search Engine Submissions to hundreds of relevant sites, depending on placement. A FREE Web Site Evaluation. Inclusion in Google SiteMaps Program (BETA). One Hour of Search Engine Optimization per month. 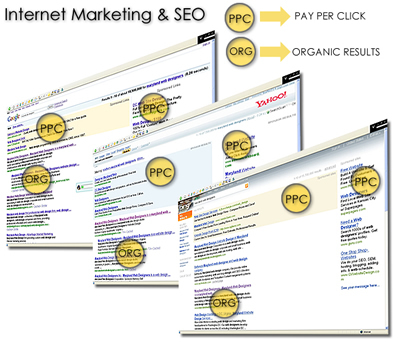 Management of any Pay Per Click Programs. Yes, it’s important to have an artistic, easy-to-navigate website. But equally important, is the marketing and web promotion that goes along with getting your website noticed by your target audience. Considerable opportunity exists for businesses of all types and sizes to take advantage of unpopulated, cost-effective, and highly-targeted local Internet marketing solutions, as well as the larger Search Engines and Directories. 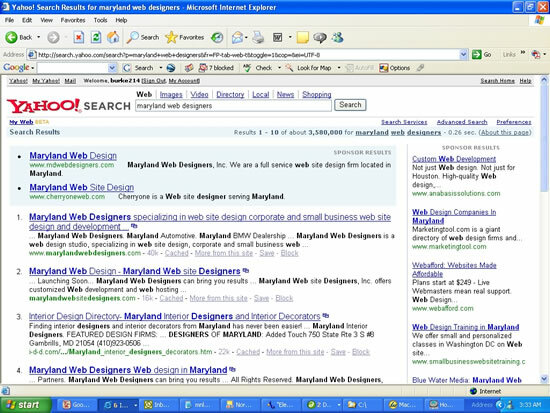 Maryland Web Designers can successfully market your website and get you results. "We use Google Sitemaps to inform Google's crawler about all your pages and to help people discover more of your web pages."